India is one of the countries with the largest production of energy from renewable sources. India’s serious renewable energy journey started with Jawaharlal Nehru National Solar Mission in 2010 and in 2015, India set an ambitious renewable energy target of 175 GW in installed capacity by 2022. In 2018, this target was revised to 227 GW. 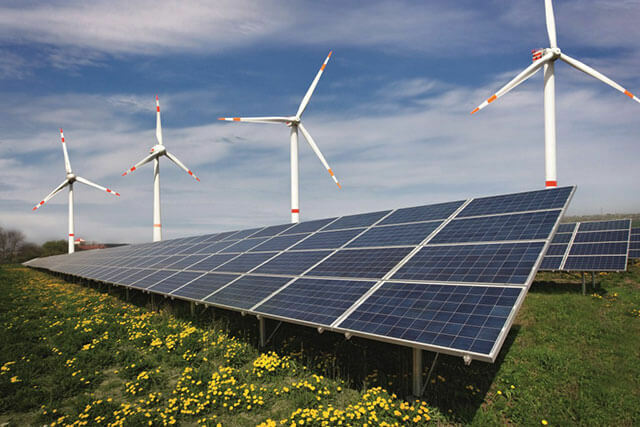 The renewable energy capacity was 31 GW in 2014, which has now increased to 75 GW in Feb, 2019. Hence, India has achieved more than 75 GW capacity of renewable energy but still lacks behind in terms of proportion of power by renewable sources (21.4%). Coal, still accounts for 55% of India’s installed capacity and India massive importer of fossil fuels. Earlier in March 2019, the Union Cabinet approved a new hydroelectricity policy that, which among other things stated to include large hydro projects within the ambit of renewable energy. Prior to the policy, only small hydro projects of a capacity of less than 25 MW were treated as renewable energy. According to data with the Central Electricity Authority, as of Feb 2019, India’s renewable energy sector had an installed capacity of 75,055.92 MW. With the inclusion of large hydro in renewable energy, the energy mix changes drastically. Total capacity of Renewable energy would now be 1,20,455.14 MW or 34.4% of the overall energy mix.